Most valve mics run off their own dedicated external PSU, such as this one for Rode's K2, and these will not care if phantom power is present at the XLR input or not — though it's good practice where possible not to supply it unless needed. I have a Sterling Audio ST66 tube condenser mic and it has a mains AC power supply. 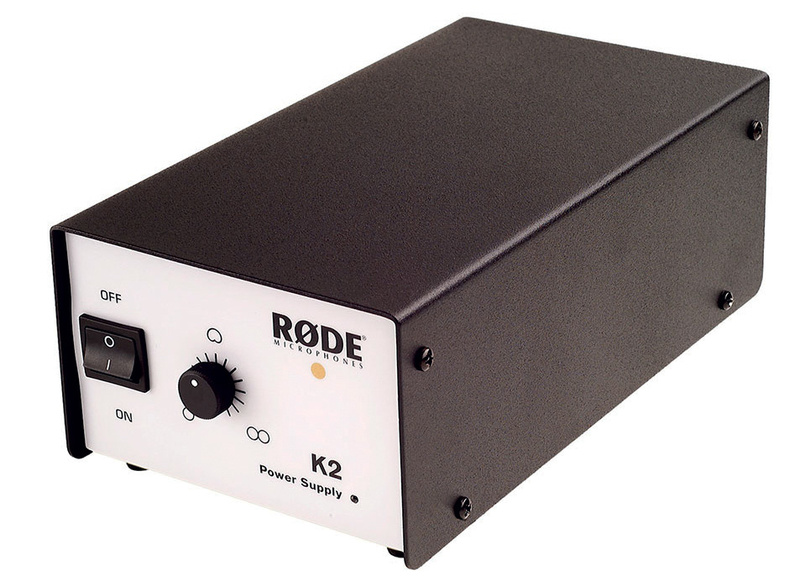 Since it has its own power, am I right in thinking I shouldn't use the 48V phantom power from my Audient iD4? This seems logical to me, but I've found I'm better off assuming nothing! Thanks for the help. Technical Editor Hugh Robjohns replies: Tube condenser (or as we say in the UK, valve capacitor) microphones usually, but not always, have their own dedicated mains AC power supply. This is because the tube (valve) typically requires a very high plate (anode) voltage to power it and, at something like 200 Volts or more, that's difficult to generate from phantom power. The dedicated mains power supply will also generate various other voltages required by the impedance‑conversion circuitry, as well as the capsule biasing voltages. So everything the microphone needs to work correctly is generated from its dedicated mains AC power supply, and it doesn't need or use the standard +48V phantom power that is available from your mic preamp, mixing console, or computer interface. However, the audio output from a tube (valve) microphone is normally coupled via an audio transformer, and that will inherently isolate the valve impedance converter circuitry completely from any phantom power provided via the mic cable. So, in fact, the valve microphone won't even notice whether you have phantom power turned on (or not) on your preamp, and it won't cause any damage or harm. Generally, I'd advise keeping phantom turned off for valve mics, but only because it minimises the possibility of 'splats' when connecting or disconnecting the mic cables.